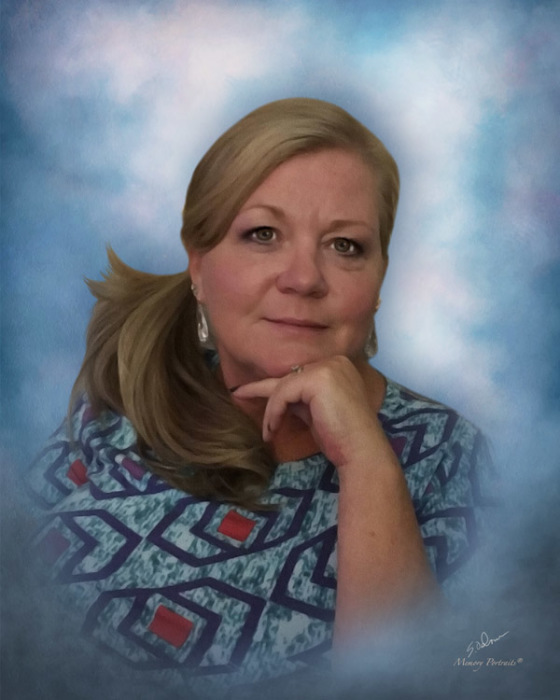 Dorothy Long Humble, 56, passed away Wednesday, January 16, 2019 at Wesley Long Hospital. A memorial service will be held at 2:00 pm, Saturday, January 19, 2019 at Rocky Knoll Baptist Church, 501 Kirkland Street, Greensboro, NC, with Pastor Rodney Mitchell officiating. The family will receive friends immediately following the service at the Church. Dottie was born November 13, 1962 in Guilford County to the late Walter Richard and Naomi Ruth Schrum Long. Survivors include her husband of 35 years, John S. Humble of the home; 3 children, Morgan Robbins (Rob), Neil Humble (Audrey) and Paul Humble, all of Greensboro; 2 brothers, Rick Long (Lorrie) of Pleasant Garden and Gary Long (Mary) of Las Vegas, NV and two grandchildren, Reed and Naomi Ruth Robbins. In lieu of flowers, memorial contributions may be made to Hospice & Palliative Care of Greensboro, 2500 Summit Ave., Greensboro, NC 27405. George Brothers Funeral Service is assisting the Humble family with funeral arrangements.